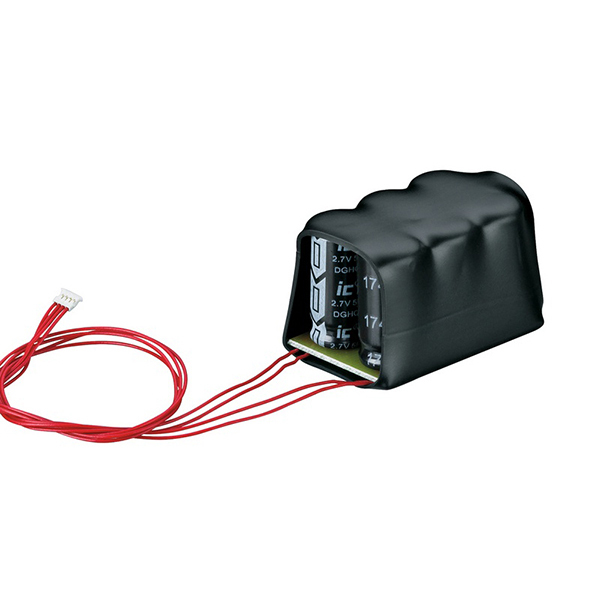 Product: This is a power storage device for connecting to the 55029 large railroad decoder. It can be used to allow smaller sections of track without current to be traversed by locomotives equipped with this system with no problem. It is simply plugged into the decoder. Size 36 mm x 24 mm x 23 mm / 1-7/16" x 15/16" x 7/8", cable length 200 mm / 7-7/8". For bridging short lengths of track without current.